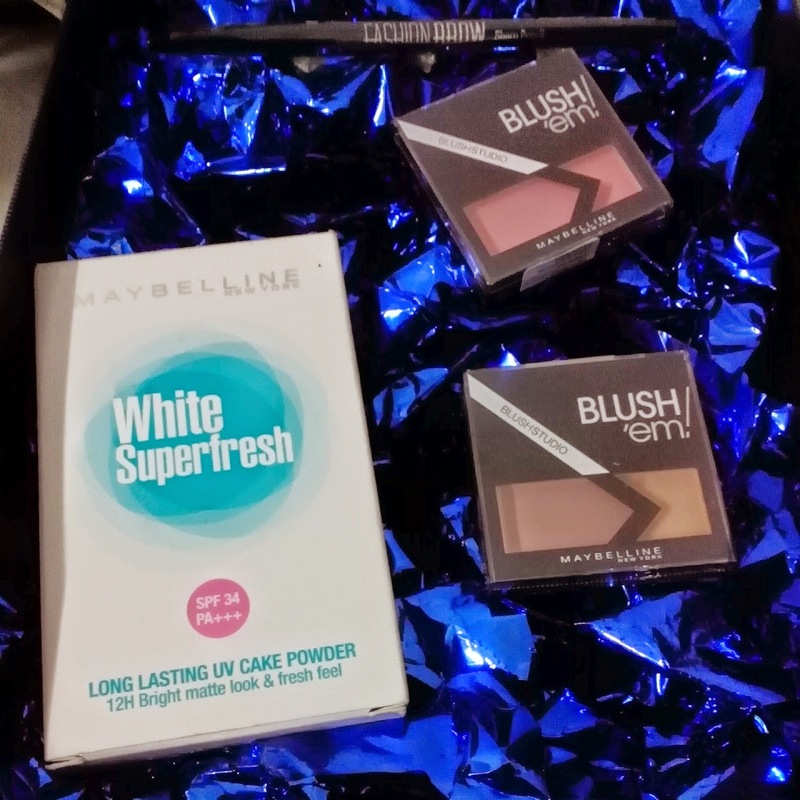 I received a SharpFace Kit from MaybellineNY Malaysia to try out. 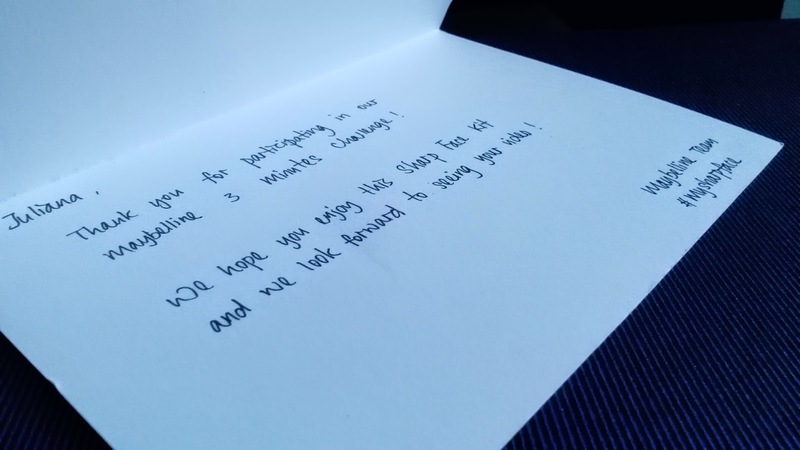 Interesting how much effort was put to send it to me! 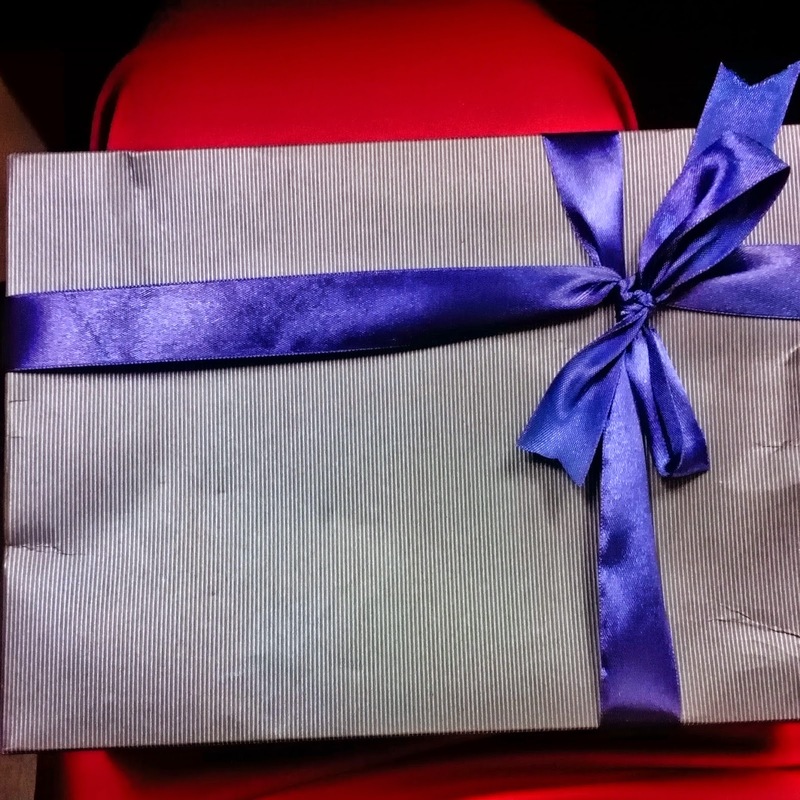 See, it's in this amazing blue box with a blue ribbon as well! So much love! There is also a flyer (I think it is a flyer.. >.<) in the box, with clear guidelines on how to apply the SharpFace Kit. 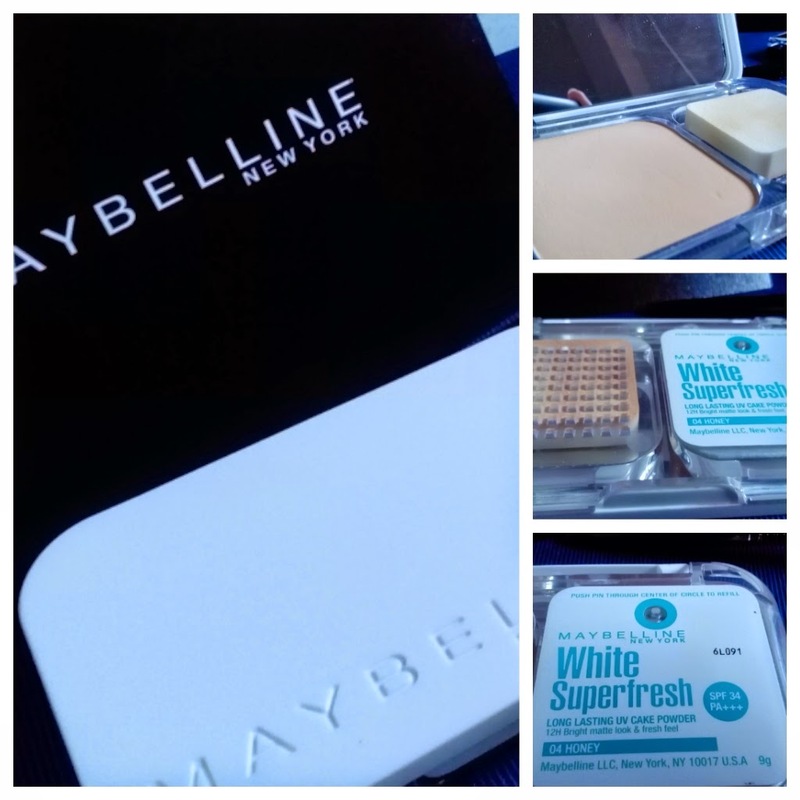 Flawless foundation-Apply White Superfresh powder that matches your face's skin tone for an even, matte complexion so you look fresh all day long. 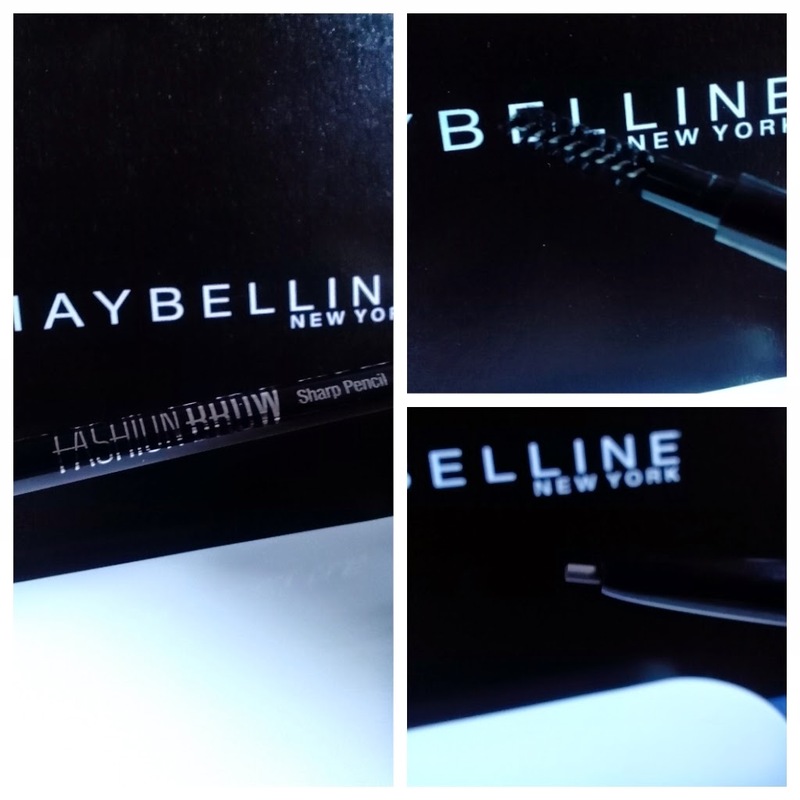 Bold Brows- Bold and thick brows give the illusion of a smaller face. 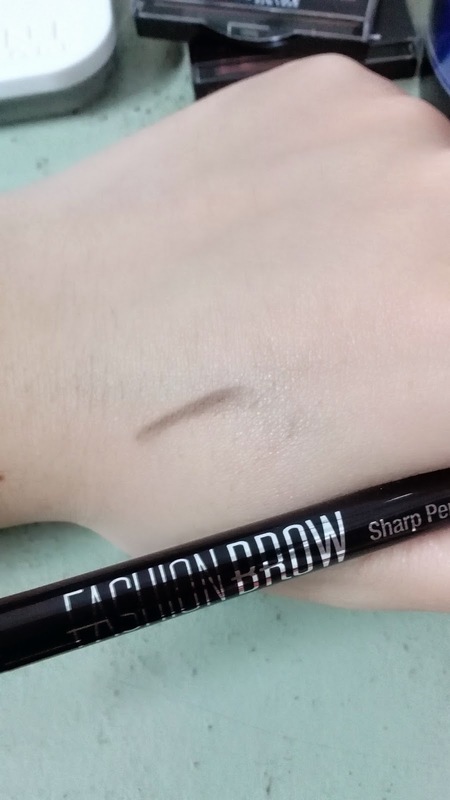 Fill in your eyebrows with our ultra-fine 1.6mm tip Fashion Brow Sharp Pencil for a well-defined look. Contoured Cheeks- Dust the light shades of Blush 'em! microfine powder under the eye area and the dark shade under the cheekbones to add contours. 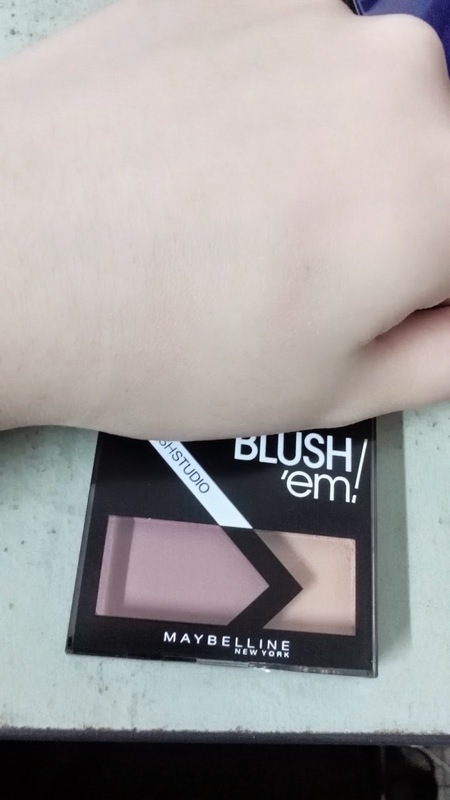 The powder texture is indeed matte and the shade matches my skin tone quite satisfyingly. The sponge picks up the product well enough. However, I find the sponge small and I am not used to small sponges; I may use a brush after this to replace. I'm Glowy has two tones which are quite similar hence the almost same tone in the above picture. I'm Fashionista has more striking two tones, as shown in the picture. 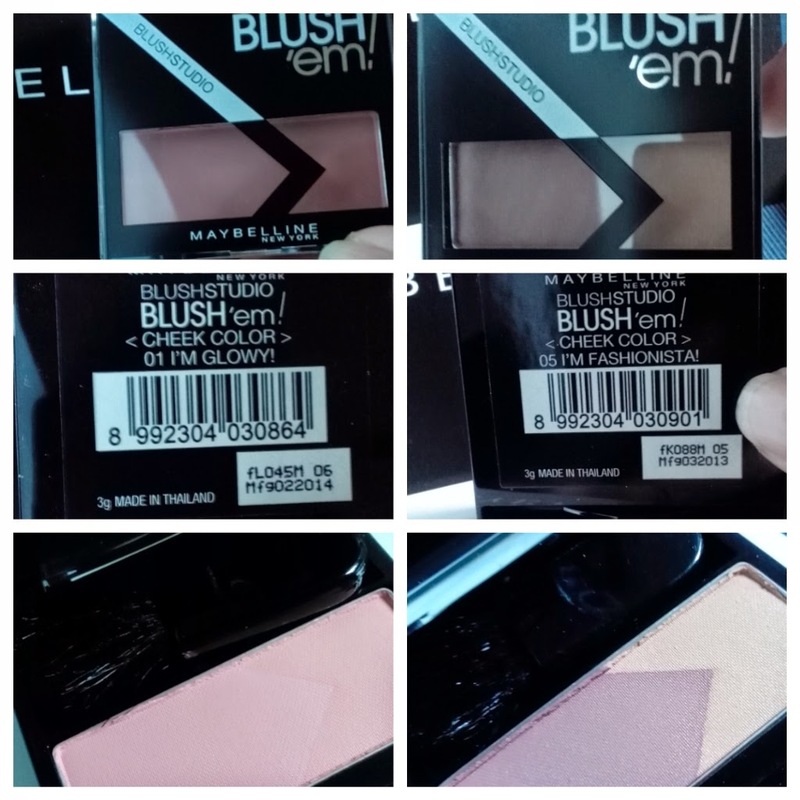 Both products are able to give me a good blush. Honestly, my first eyebrow make up. 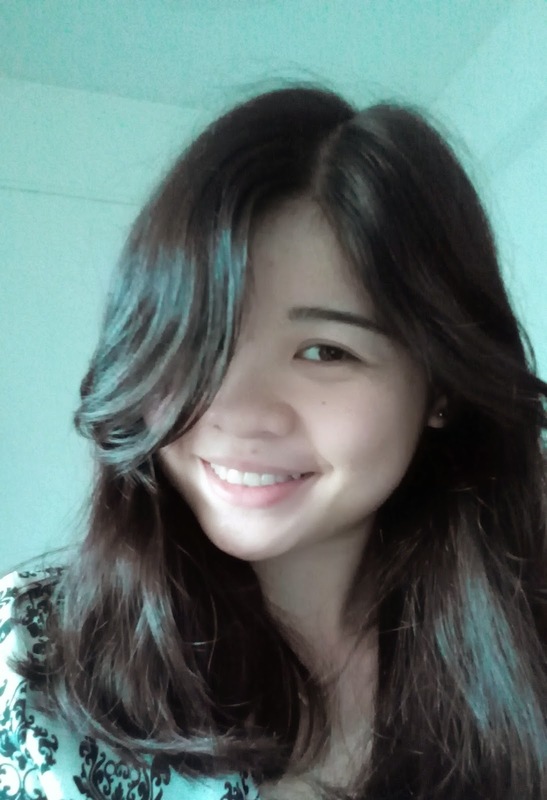 I didn't think I need eyebrow make up because my eyebrows are quite thick as they are already. Lol. 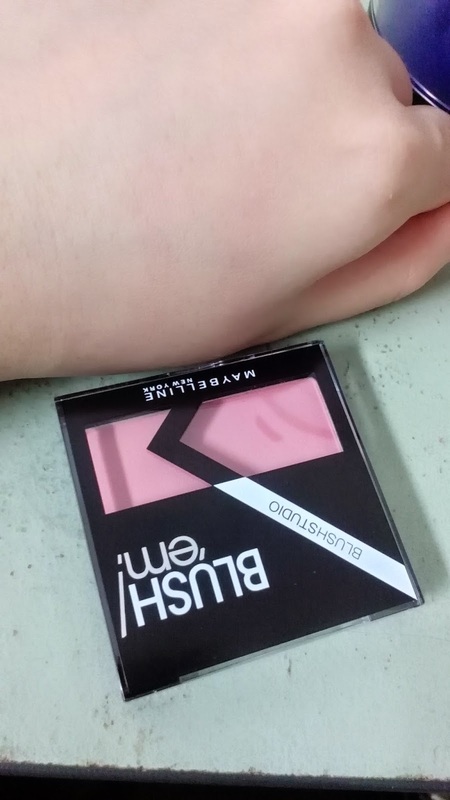 So when I applied this, almost no difference! Wtf. Means my eyebrows really thick until no need eyebrow make up. And I am stuck on how to transfer it here. Lol. Here's the link for the 3 minutes Challenge. Excuse my vanity in it plus apologies for the quality and absence of audio. 3 minutes was barely enough to do make up!! Lol. 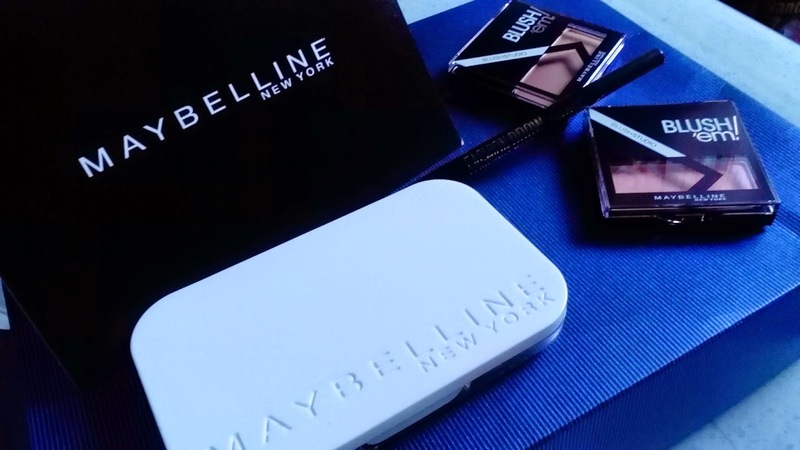 I also have a shoutout for a contest from MaybellineNY Malaysia! 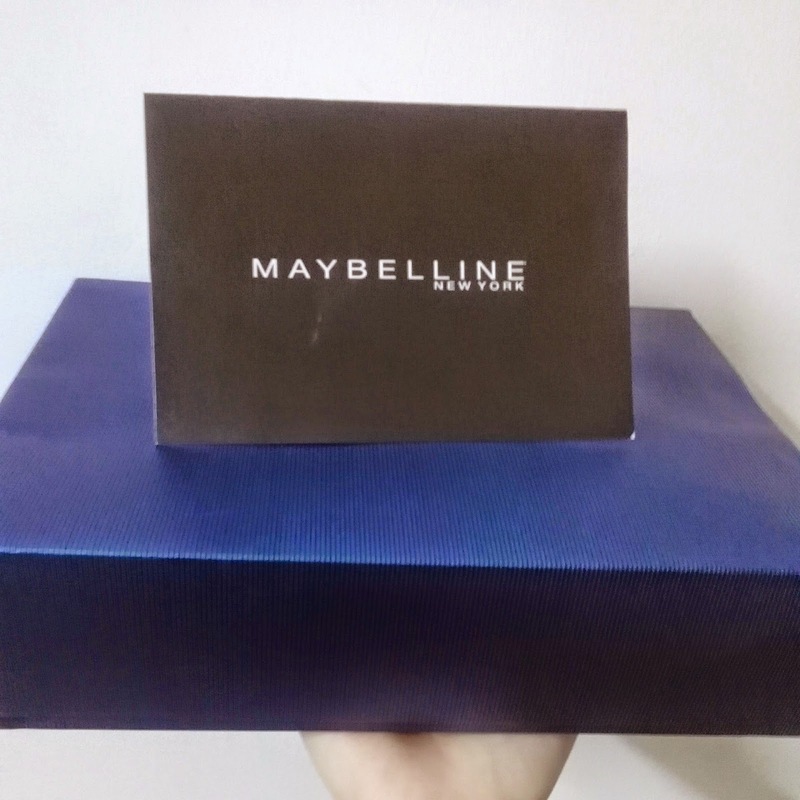 Prizes worth up to RM150 to be won! 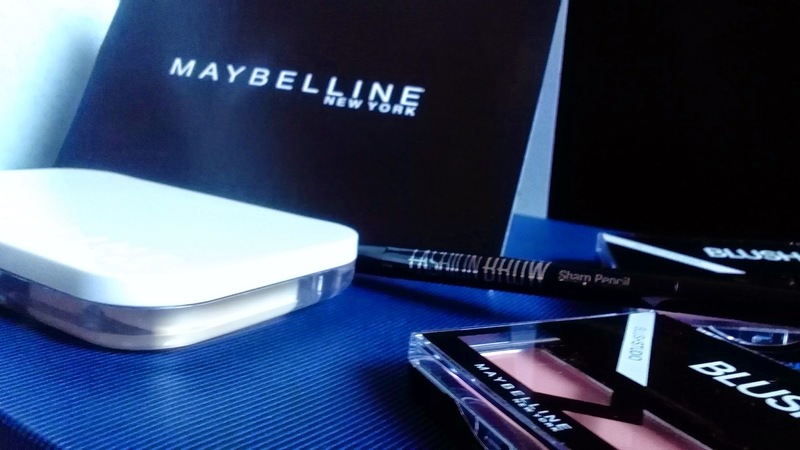 Make sure you're following @maybellinemalaysia on Instagram! Selfie! 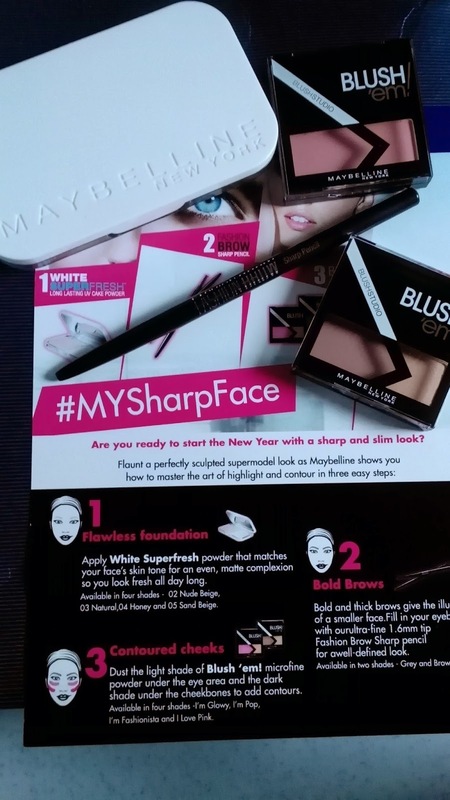 What's your sharp face look? Caption it with style too. 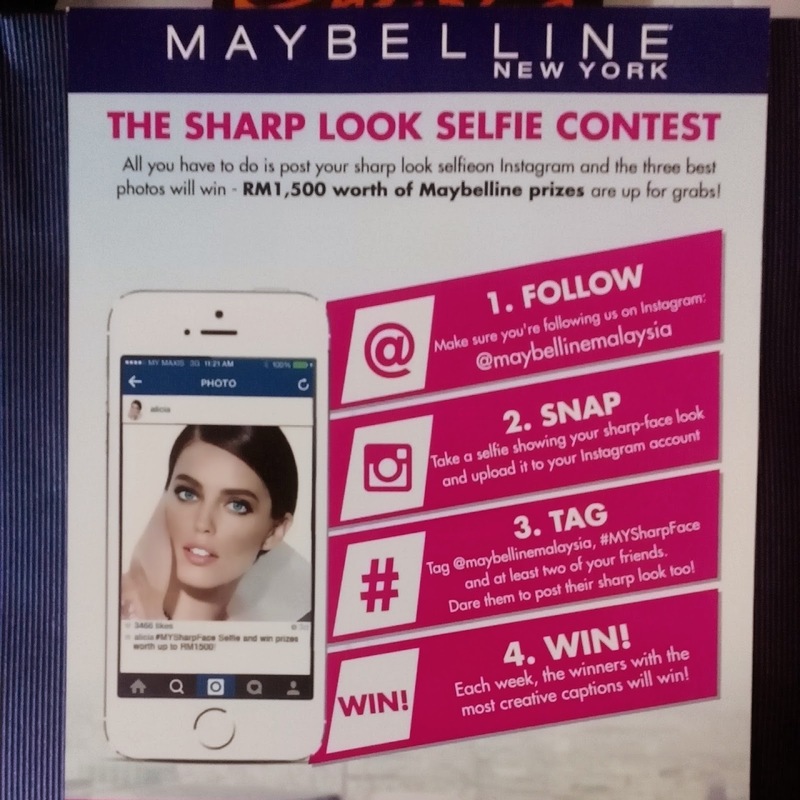 Tag @maybellinemalaysia, #MYSharpFace and also at least two of your friends. Dare them to do the sharp face look as well! Each week, the winners with the most creative captions will win. Disclaimer: Products are sent to me for review purpose. That does not however affect my opinion of the products. 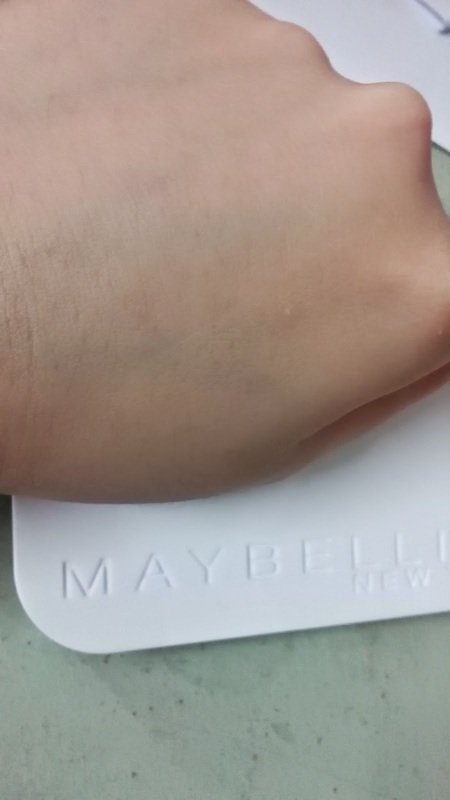 This review is my honest, humble review of the products. Moreover, pictures are my own unless stated or linked back to the original source.